Before Andrew Faulk bought his 50th floor unit in the Millennium Tower in 2011, he and his husband asked about how the luxury high rise would perform in a major quake. “We were assured that it was state of the art and that it would do just fine,” Faulk said in a recent interview. But NBC Bay Area has learned that such assurances did not account for a seismic vulnerability hidden inside the walls of the already sinking and tilting 58-story structure. 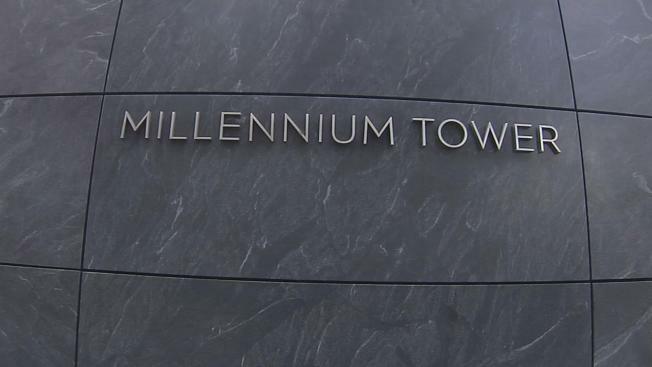 It came to light in January when veteran structural engineer Ronald Hamburger – hired by Millennium to assess the impact of its sinking and tilting – reassessed the building’s potential performance in a major quake. It turns out that Millennium’s conclusion as to its seismic performance was based on 2005 results of what is now considered a relatively unsophisticated generation of computer models. A more advanced modeling method – commissioned by the developer eight years later to account for sinking – reveals an apparent risk with the mammoth blocks of steel reinforced concrete known as outriggers. They function as arms to bind the tower’s core to its outside walls. They are supposed to absorb the bending and twisting exerted in a major quake. In his response to questions asked by a panel of city-appointed experts, Hamburger outlined how the outriggers would perform. The uppermost set of four outriggers are about half as seismically resilient as they should be. The set of four lower down would be overtaxed by 20 percent. Maffei says the question to pose to Hamburger is just how severe a quake it would take to make the building a total loss. “He could figure out what level of earthquake he thinks is going to cause that red tag,” Maffei said. Millennium’s spokesman P.J. Johnston told us the building has been repeatedly evaluated and declared seismically safe over more than a decade. The project’s firm, DeSimone Engineering, told Pannu that such analysis was “not necessary” as the outrigger design was based on “well-understood and well-documented” principles. Now, Bea says, owners should demand more information as they themselves assess the risk. Bea says owners should not be satisfied about such a broad statement and need to learn as much as they can before making any decisions. Faulk and his husband Frank Jernigan recently moved out of their 50th floor unit – but they still can’t sell. “We really don’t know what to do,” Faulk said, adding that he is angry after learning that the building is far from the state of the art, seismically.